An electrical engineering graduate from the University of Queensland has won the Hills Young Innovator of the Year iAward for a new medical app and device designed for cystic fibrosis patients. The Hills Young Innovator Award recognises the most outstanding innovations from an individual 25 years or younger in three categories: Mobile, Big Data and Cloud. Elliot Smith, who took out the top prize at the 2014 Hills iAwards designed Pepster, a breathing exercise app and device for cystic fibrosis patients that can be used in the home. He will receive $15,000 to bring the app and device to market. Hills Chief Technology Officer Leica Ison said she was delighted that the company famous for the Hills hoists was spearheading and supporting innovation in ICT. The inaugural awards program received over 30 applications spanning mobile, big data and cloud. She explained that the winning entry, Pepster really stood out as a clever medical innovation with strong commercial prospects. The financial support will take Pepster closer to commercialisation and help improve quality of life for people living with respiratory conditions such as cystic fibrosis. The total prize money of $25,000 given at the Hills Young Innovator iAwards include $5,000 in cash for each winner of the Mobile, Big Data and Cloud categories, as well as an additional $10,000 in cash support to the overall winner, the Hills Young Innovator of the Year. OrionVM is a wholesale Infrastructure-as-a-Service (IaaS) provider with their revolutionary technology suite encompassing virtual storage, compute, orchestration and virtual networking enabling the delivery of high-performing, highly reliable cloud solutions at market-leading price-to-performance ratios. The OrionVM Wholesale Cloud Platform supports private, public, and hybrid cloud deployments and is built for internal consumption or resale. GoCatalyze is a data platform built to change how companies, not-for-profits and organisations conceptualise, visualise and act on data. The platform enables organisations to track and understand internal interactions, the direction of information and workflow, and helps identify key influencers within an organisation. GoCatalyze sees the potential for its platform to be applied in SMEs, financial services and the charity sector. 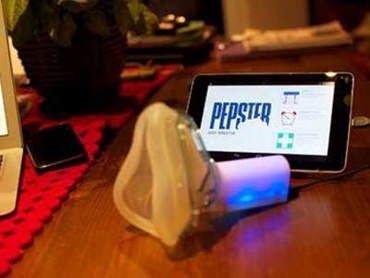 Pepster uses a breathing device and smartphone and tablet apps to monitor respiratory physiotherapy in patients suffering breathing and lung conditions. It links breathing activity to actions in a computer game, encouraging children to achieve their respiratory exercise goals and ensuring they’re breathing correctly and effectively. Pepster is currently undergoing a clinical trial with Mater Children’s Hospital and will be seeking TGA and FDA approval in the next 12-24 months.